Barbara Theodosiou and her family reveal the pain, loss, and connection that emerge from multigenerational addiction, trauma, and recovery in this unique view into the heart of a national crisis. Like many parents, Barbara is spending a sleepless night in crisis. When the phone rings, she knows it must be Daniel, her big-hearted and intelligent son who has cycled through hospitals, jails, and treatment centers since he was sixteen. He is horribly addicted to DXM, the drug found in many over-the-counter cough medicines. And Daniel isn’t Barbara’s only child confronting addiction. Her oldest son Peter’s drug of choice is heroin. After picking up the pieces from one more relapse, Barbara turns to the online refuge she created when she had nowhere else to turn—The Addict’s Mom. There, she can “Share Without Shame” with others who understand. Through years navigating Daniel’s nightmarish struggle with addiction and mental health disorders and Peter’s hope-filled path toward recovery, Barbara ultimately discovers that the only person she can save is herself. But this isn’t just a mother’s story. 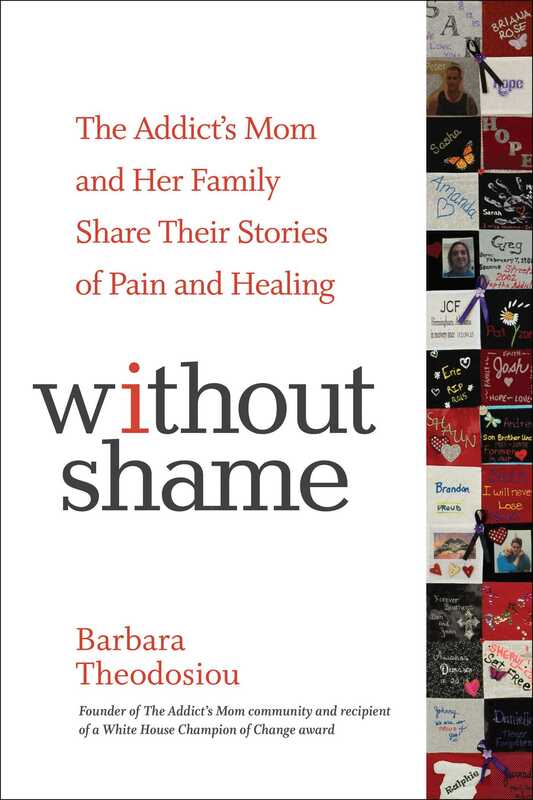 Without Shame encompasses Daniel’s own poetry and prose, Peter’s reflections on recovery, their uncle Freddy’s experiences with heroin and methadone, their sister Nicole’s story of balancing compassion and independence, and other often unheard voices. This multifaceted story reveals what it truly means to describe addiction as a family disease.